Do you have a WordPress blog or website, and want to free yourself from the hassle or time that it takes to keep it fresh and updated? Great! Because we offer a tailor-made WordPress maintenance package to suit every budget. We are so sure you’ll love having UKcentric on your team, that we’re offering a free month if you commit to at least 3 months of WordPress updates. See below for details. How does a WordPress maintenance plan work? How much does a WordPress maintenance plan cost? Prices can vary as each plan is tailor-made to suit your needs. A small business might pay in the region of £300 – £800 per month depending on the agreed amount of hours. A larger business could pay £1000+. For example if you decide to do a large advertising campaign, we could create all the banners, videos and WordPress pages as a “special” whilst keeping all the usual monthly updates flowing. You will have a dedicated account manager who will fully understand your WordPress site and will be available during business hours on the phone, email or Skype. You can stop WordPress maintenance whenever you like. The exception is if you take advantage of the “first month free” offer – in this case we ask that you commit to a minimum of three months – but after that you are free to leave us. We don’t think you will though! We’re fully conversant with all the most popular plugins such as WooCommerce, Yoast, Contact Form 7 and many others. You can see some of our previous clients on our customer list. Our “first month free” offer applies if you agree to sign up for a minimum of three months, paid monthly in advance. Our expert in-house blog-writers will write your blog posts using your ideas or suggest inspired ideas for posts that will really cause a buzz. Keep your site fresh with new images and graphics. We’ll source or create sparkling new images each month for your posts, articles and products. Keep WordPress secure and up-to-date. We’ll manage important security updates on the server and on the WordPress. Using the latest WordPress plugins plus our extensive knowledge of SEO, we’ll help to raise your site in the Google search results, bringing in more qualified traffic to your site. Whatever information you need to capture we can design beautiful and functional forms for your users to submit. Whichever WordPress e-commerce system you use (for example WooCommerce) we have the know-how to keep it fresh and accurate with new products, and product pages that really sell. Our programmers can create the plugin you’ve always dreamed of. 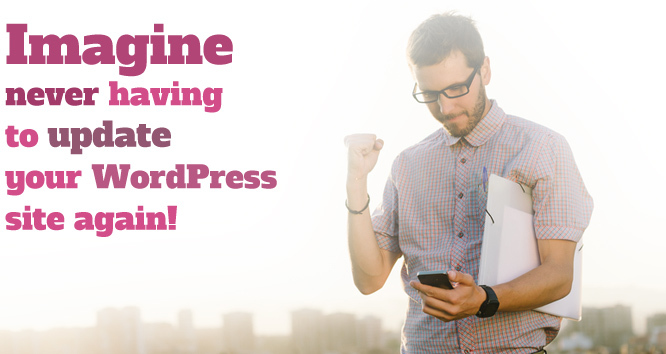 Now your WordPress site can do exactly what you want!